Montessori Alphabet Box Free Printable and Giveaway! 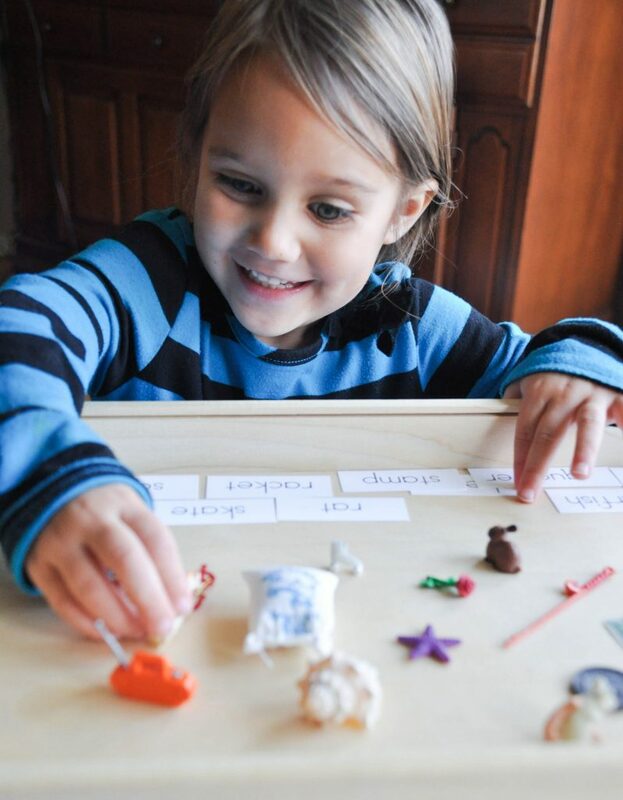 You are here: Home / Giveaways / Free Printable Montessori Alphabet Box to Teach Alphabet Sounds! 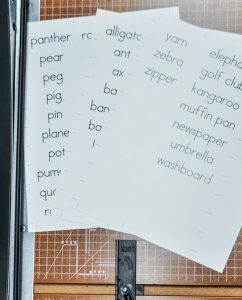 Free Printable Montessori Alphabet Box to Teach Alphabet Sounds! 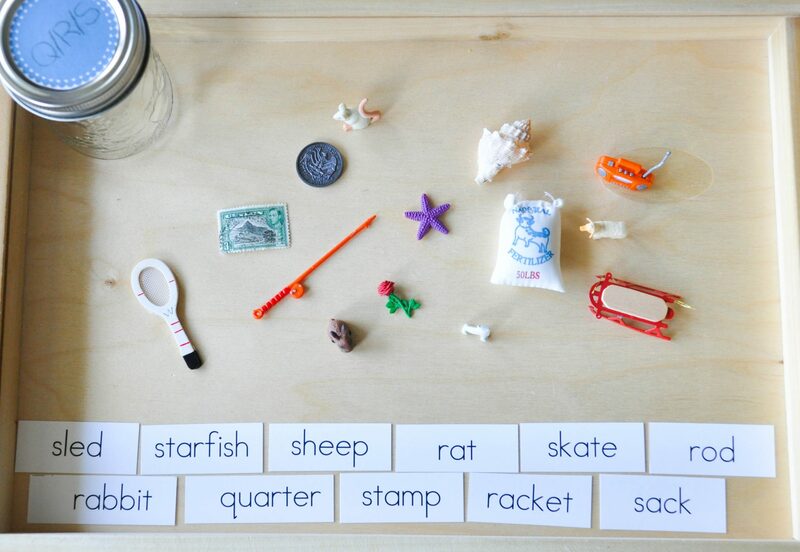 Have you ever heard of a Montessori alphabet box, but just didn’t know where to start? Today I am going to show you the easiest to set one up with a free printable! Plus, keep reading to enter the giveaway to win a $50 gift certificate for Montessori Services! 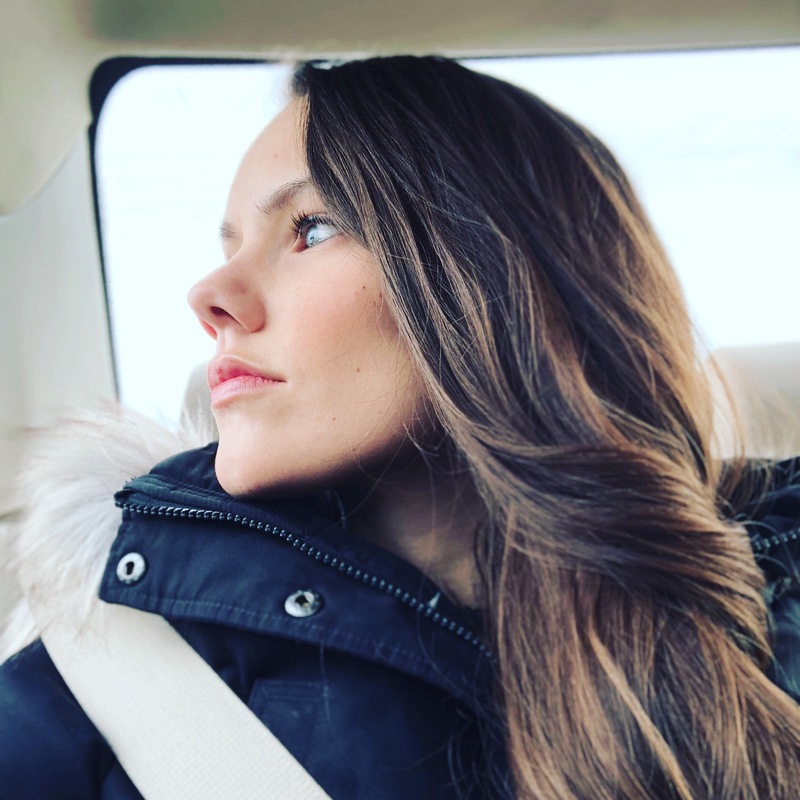 This is a post you don’t want to miss out on! Make sure to pin it for later! I was so excited to have the opportunity to review the Language Starter Set 2015-2016 from Montessori Services (item #L850B). This is a collection of 100 miniature-sized objects (think dollhouse-sized) for the letters of the alphabet. They are a common component of a Montessori Alphabet Box, a popular fixture in many homeschool classrooms. They can be used for a variety of learning games and activities to help teach reading and language skills to young children. I was so impressed when I opened this box up. It came quickly in the mail, which was pretty much a Christmas miracle with shipping up here on the island. The objects are quality and built to last. They are small but sturdy and colorful! Even I was inspired by the possibilities of these small learning resources! They have optional Language Object Labels (item #L852B) that coincide with the items in the starter set. I found these super helpful for sorting the objects correctly. For example, I had put a “baby” in the B jar, but the labels clarified that it was an “infant” for the I jar. They are high quality labels, water-resistant, and have lines to help you line up your cuts. There are downloadable labels you can use to help you set up your Montessori Alphabet Box on the website. However I was thankful for a set of labels that will actually LAST, not be destroyed the first time they are used. No labeler for me is a big win and definitely worth the extra $5! How to Make Your Own Montessori Alphabet Box. I have so many ideas for you guys, I’ll start with the basics. Generally, the most common thing that people use are these puppies from a hardware store. And hey, they are 36% off right now on Amazon! I looked through our hardware store here and didn’t see anything like that so I was looking for something anyone could buy that was cheap and easily accessible. 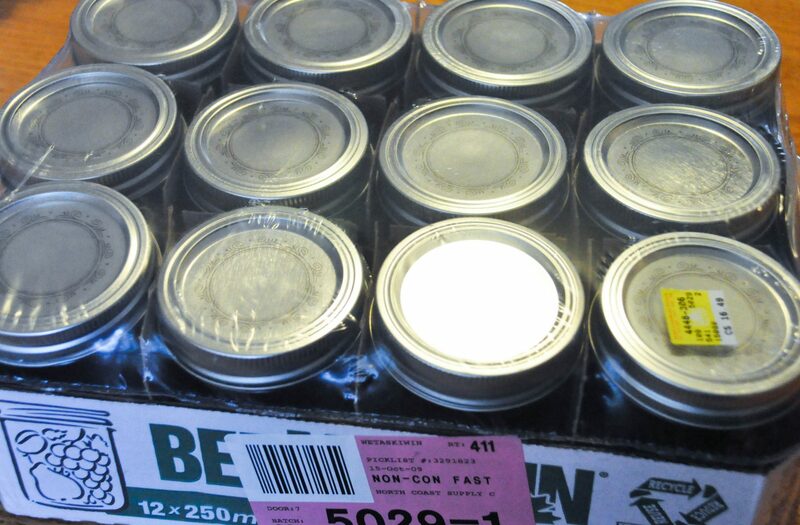 I had last minute inspiration at the grocery store and ended up buying 12-250mL jam jars. I decided these would be easy to store inside a plastic bin or “box”, keep in one spot, not take up too much space and could be customizable at the same time! 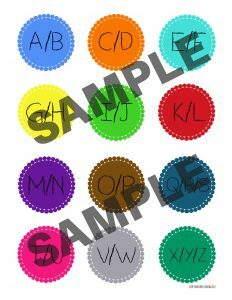 I divided the 12 jars as needed and designed some bright printable jar labels for the lids to decorate them and make them easy to work with in our activities. You can grab your free printable covers by filling in your name and e-mail below (it will be sitting in your inbox as soon as you press send!). How to make your own Montessori Alphabet Box at home! 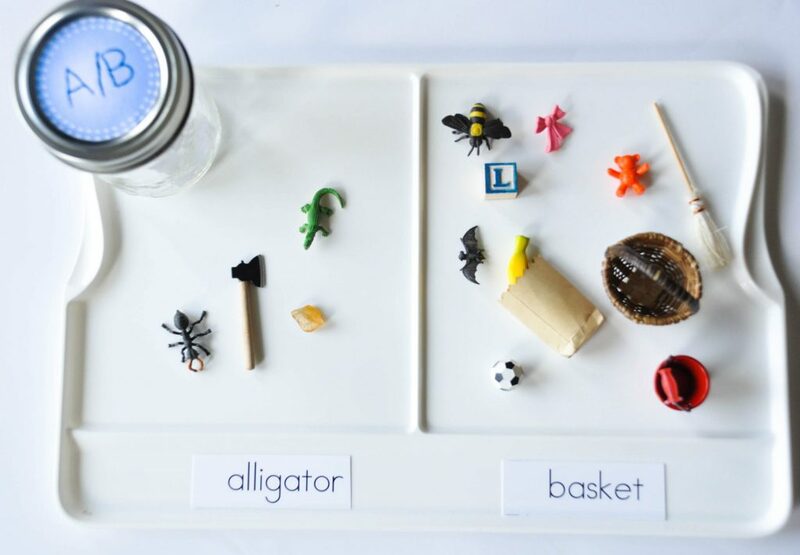 To set up a Montessori alphabet box, you need containers/jars/boxes for different alphabet letters. You need small objects that start with that letter or have that phonetic sound in them. You need labels so you can identify the components of the box/jar/container and optionally labels for the items IN your jar so you can use them for extended learning activities. You will need some sort of tray to set up a learning activity, here are a couple of options. This is actually a paint tray that works great for sorting objects by letter. a wooden math-u-see tray I am using, it’s high sides make it perfect! Your toddler or preschooler will have so much fun handling these little treasures. They can match items by letter, by sight word, by color, the possibilities are literally endless! We even added some little things of our own, like lego and playmobile. We added pictures cards and other small trinkets to fill up our jars with trinkets to inspire the imagination and explore our alphabet sounds together! Eventually I want to make up a color wheel that they can use with their Language Starter Set to reinforce and introduce new learning concepts. Your house is a learning heaven. Everywhere you look is education possibilities. Educational books on the side table, educational toys, educational activities. You have trays set up with fun little games. Math activity trays, color mixing trays, word building activity trays, and more! Now imagine that your child enters into this learning environment with freedom to explore and learn through play. 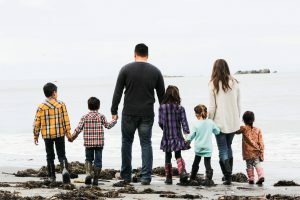 This is the vision behind Montessori learning! The only downside is that it can be a lot of work to set this all up and it *can* be very expensive! This is why I am always excited when I find a Montessori activity I can set up that doesn’t cost me an arm and a leg. Now you can make this Montessori Alphabet Box yourself, for free! 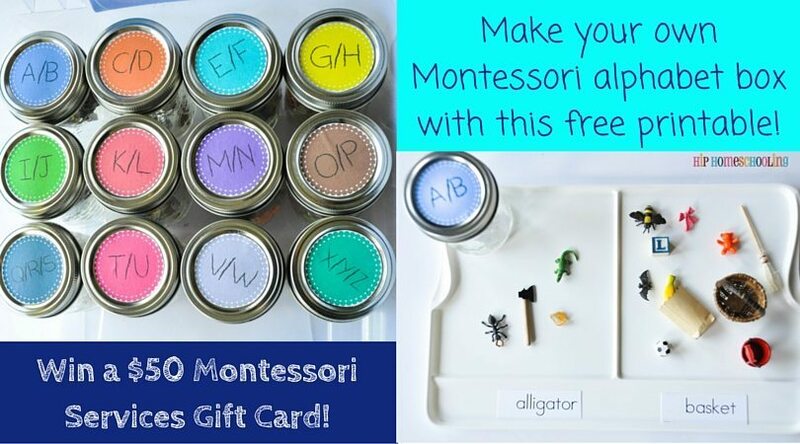 Make Your Own Montessori Alphabet Box with this $50 Giftcard Giveaway! 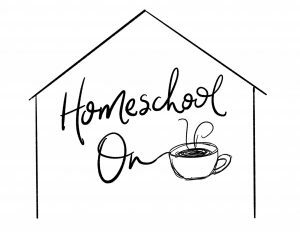 I am so excited to be able to offer a free $50 gift certificate for Montessori Learning! You could get your own Language Starter Set, or choose from one of the other 2500 educational products! This giveaway is open to residents of both the USA and Canada, so make sure you share it with your friends! 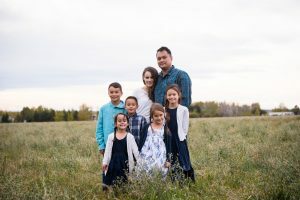 If you are interested in learning more about Montessori Services, check out their Facebook Page Here! Don’t forget to share this post using these handy share buttons at the bottom. I NEED this in my life. We’re working with the preschooler now on letter sounds. This would make my life so much easier! Thanks for hosting the giveaway! What great giveaway. This would be perfect for my son! This is pretty cool! Although I love the language kit you reviewed as well.